The Parkstone, Penn Hill & Canford Cliffs Safer Neighbourhood Team (SNT) held a Restorative Justice session involving three offenders who were responsible for throwing eggs at a property. Following consultation with the victim, it was agreed that the offences should be dealt with under the new Restorative Reprimand scheme, which is being pioneered by Dorset Police. The youths listened to the victim and learned how their actions had made the victim feel. They also apologised to the victim directly, offered their pocket money to pay for cleaning the windows and offered to clean the victim’s car. Restorative Reprimands such as these can be issued for low-level crimes committed by young people aged 10 to 17 years old, if they admit the offence. Unlike a usual reprimand, it brings together the offender and the victim to try to put things right. Stop – Before you answer the door, stop and think whether or not you are expecting anyone. Check the back door is closed and locked and remove the key. Chain – Put the door chain or bar on the door before opening the door and always keep it on when talking to the person on your doorstep. If you can, look through a window to see who is calling. Check – Ask for and carefully check their identity card. Take the card and close the door leaving the caller on the doorstep. Do not let them in. Do not phone the number on the card as this may be fake. If the caller states they are from the council or other authority, look the phone number up in the phone book or on a recent bill. You will then be able to check the caller is genuine. Take your time. If the caller is genuine they will be happy to wait while you do this. Safer Neighbourhoods is a commitment by Dorset Police to improving the quality of life in our communities by working together with partner agencies – including Borough of Poole and Dorset Fire and Rescue Service – to tackle the issues identified by local people as those that matter most. Get in touch with us today to find out how you can raise your issues. This is your chance to influence the service that we, the police, and our partners provide. Your opinions are important to us – this process will not work without you. 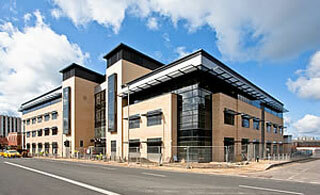 The new Poole Police Station opened its doors to the public on 17 December 2009. The station is located in the Joint Emergency Services Building on Wimborne Road, near Poole Stadium, and will be open from 7am to midnight Sunday to Thursday, and from 7am to 1am on Fridays and Saturdays. The Joint Emergency Services Building is shared by Dorset Police and Dorset Fire & Rescue Service. We have: teamed up with colleagues from Dorset Safety Camera Partnership to conduct speed checks in these roads. Drivers found to be over the speed limit were issued with educational leaflets on the potential consequences of speeding in residential areas. We have: increased our high-visibility patrols in these areas, seized alcohol from anyone under the age of 18 and moved on those found to be engaging in anti- social behaviour. We have: increased our high-visibility patrols and issued crime- prevention advice to beach hut owners and motorists. An unemployed man from Bournemouth has been sent to prison for three years after he attacked and injured a man in Poole. The 23-year-old pleaded guilty to wounding with intent to cause grievous bodily harm, after the incident near Poole Quay in May 2009. 24/7 you can use the ‘Report It’ and ‘Apply For It’ options on the ‘home’ page online at www.boroughofpoole.com for any Council service issue listed below. Let us know what concerns you most. Visit www.dorset.police.uk for more opportunities to raise issues in your neighbourhood.